CrockPot Desserts are my favorite. I love cooking dinner in the crock pot, but there is something special about the anticipation of having a sweet treat waiting for you in the crock pot. 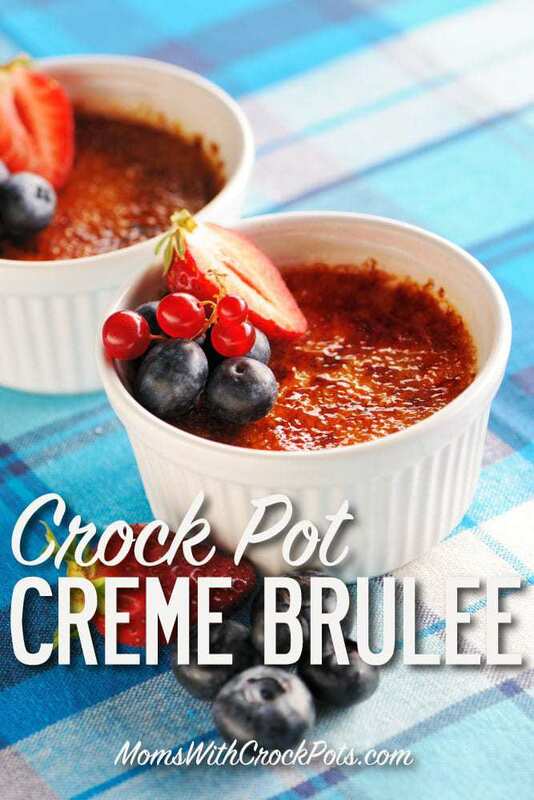 This CrockPot Creme Brûlée is too amazing not to share. Date night or any night, you have to give this a try! In a bowl, whisk together the egg yolks and sugar. Whisk in the cream and vanilla. Divide among 4-6 small ramekins, or 1 large one, and put it/them in your CrockPot. Pour hot water around them so that it comes about halfway up the sides of the ramekins. Cover and cook on high for 2 hours, or until set but still slightly jiggly in the middle. Take them out and let cool. Refrigerate for a few hours or overnight, until nice and cold. 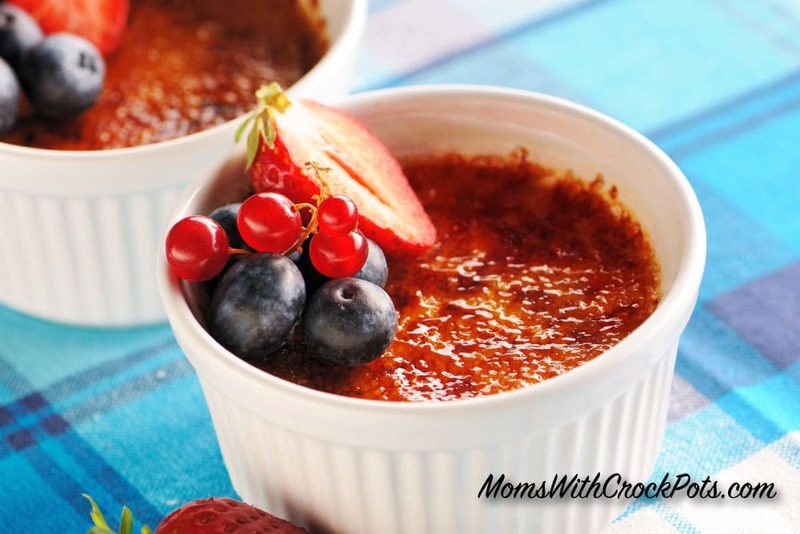 Sprinkle an even layer of sugar over each dish and caramelize with a torch or transfer to a cookie sheet and place under the broiler in the oven for about 2 minutes, just until the sugar is caramelized and golden. Turn the sheet around if you need to to help them caremelize evenly. Refrigerate again, or just let them sit on the countertop while you eat dinner or make coffee, just until the sugar is set and crackly.